Film and motion picture development continues to evolve in the modern era. A current trend in videography has been filming with drones. 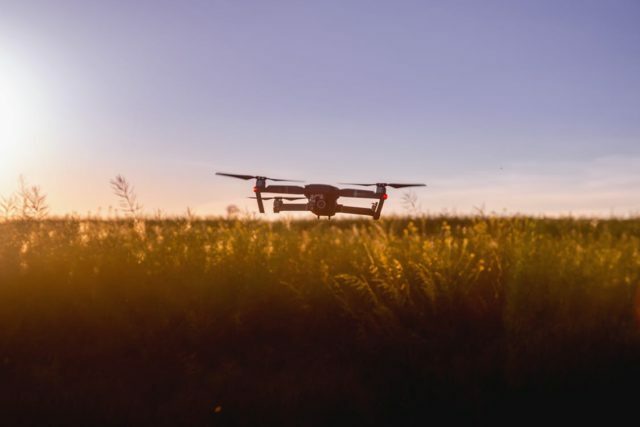 When drones first hit mainstream use, many people were filming with them without understanding the legal steps within drone aviation. Personally, I have been on the fence about filming with drones due to the financially investment, and the finished product. After I have researched the proper steps to filming with drones, I wanted to share them with other filmmakers to be able to properly take advantage of the technology. Currently there is a big debate of automation and robotic technology. Even though we are still in a primitive state for drone film, I still see a future of robot filmmakers in the near future. That being said, each of these robots will need engineers and operators to direct them. Flying a drone legally is very similar to the steps needed to fly a plane. There is a level of responsibility that comes along with flying an aircraft. Each country has its own set of rules. These steps are regarding the United States. First you have to be over the age of 16, and have a government issued ID. In 2018, the following steps are needed to legally film with drone technology. Obtain a Remote Pilot Certification. Browse over knowledge testing centers to get the certification. These rules are subject to waiver. For more information about applying for waivers, visit Request a Waiver. Label your unmanned aircraft (PDF) with your registration number. Register and find out more on the FAA Drone Zone via their main website. It is also important to obtain permission from the land owner when filming in any location. The airspace around Washington, D.C. is more restricted than in any other part of the country. In addition to going through the legal steps to drove videography, I also wanted to share some interesting courses organized by YouTube. YouTube Space in Los Angeles is offering courses to take to learn more on drone videography. These classes are available to producers with over 100,000 subscribers. I’ve gone through channels with that many subscribers, and it’s not very many. I would drop that number to 1,000 to help build skills for producers that could use the support. Some courses are available to the 10,000 subscribers, but still, I don’t know that many brands, let alone people with that many subscribers. In my view YouTube is pushing too hard for people to promote their channel financially, and not providing the return on investment to be worth their time. Browse over the upcoming YouTube Creator workshops. GOOD NEWS! We’ve added a 2nd Drone Videography Workshop with @DJIGlobal on Feb 9th! For additional information on drone videography, browse over the two YouTube videos below.